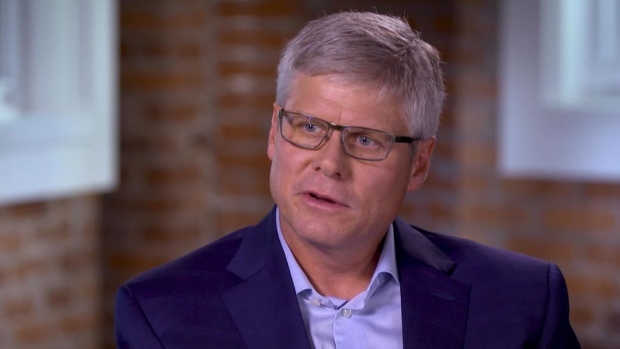 Qualcomm Inc.’s (QCOM.O) board is planning to announce a bigger pay package for Chief Executive Officer Steve Mollenkopf, showing confidence in his leadership through a grueling period for the chipmaker, according to people familiar with the process. The new compensation is tied to progress made by Mollenkopf and his executive team in tackling a series of challenges the company has faced in recent years, the people said. They asked not to be identified before the board goes public with the move. During Mollenkopf’s four-and-a-half years as CEO, the world’s largest mobile-phone chip maker has been under assault from all sides. Apple Inc. (AAPL.O) stopped using Qualcomm’s products, stopped paying billions of dollars in licensing fees and launched a legal battle that’s spread across the globe. Regulators on three continents took action against Qualcomm. The company narrowly avoided a hostile takeover by rival Broadcom Inc. and failed with its own acquisition of NXP Semiconductors NV. Throughout it all, Mollenkopf has argued the company would prevail eventually because the industry needs its wireless technology. While many investors didn’t share his quiet confidence and the stock has lagged an industrywide rally, there are signs his predictions are starting to play out. Regulatory action in Taiwan has been reversed. Samsung Electronics Co., the biggest maker of smartphones, signed up a long-term deal to pay licensing fees and work with Qualcomm. A dispute with another large customer, identified as Huawei Technologies Co. by analysts, is being resolved. After the NXP deal fell apart, Qualcomm used it large cash holdings to buy back stock. That, and the resolution of some of its woes, has helped the shares climb more than 15 per cent this year, outpacing the benchmark Philadelphia Stock Exchange Semiconductor Index. For Mollenkopf, a bump in pay and praise from the board would represent a turnaround from earlier in the year. When Broadcom tried to buy Qualcomm, it appealed directly to shareholders to overturn management opposition to the deal. Heading into a final proxy vote to replace the board, Broadcom’s nominees were well ahead of incumbents including Mollenkopf. The vote was postponed and rendered moot when the Trump administration halted the deal, citing national security concerns. Qualcomm’s CEO also faces the possibility of another takeover battle from his former boss, Paul Jacobs, who was ousted as chairman in the aftermath of the Broadcom bid. Jacobs has said he’s raising money to take Qualcomm private. In December, Mollenkopf will collect the final tranches of a US$50 million restricted stock grant he got when he became CEO. Since he was tapped for the role five years ago, he’s been awarded annual compensation valued at about US$15 million, according to the Bloomberg Pay Index, which values equity awards at the end of a firm’s fiscal year. His actual payouts have been smaller because Qualcomm’s stock has struggled and operational performance has been mixed. By contrast, Nvidia Corp.’s (NVDA.O) CEO Jensen Huang was awarded annual compensation worth US$24.9 million on average in the past three years. Intel Corp.’s former CEO Brian Krzanich got US$19 million per year over the same period, according to data compiled by Bloomberg.